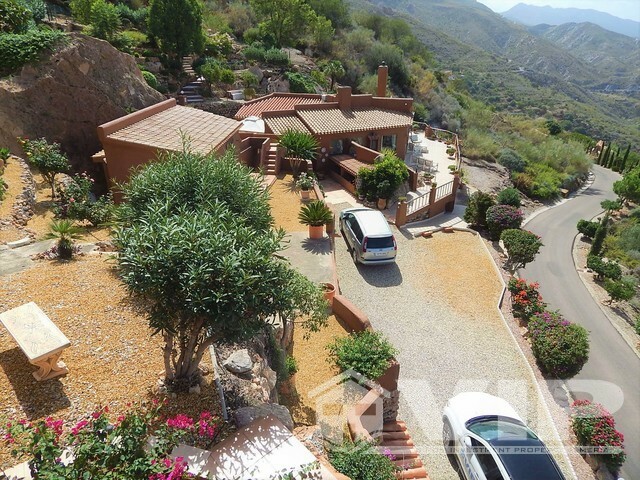 A whimsical mountain retreat 20 minutes drive from Mojacar. 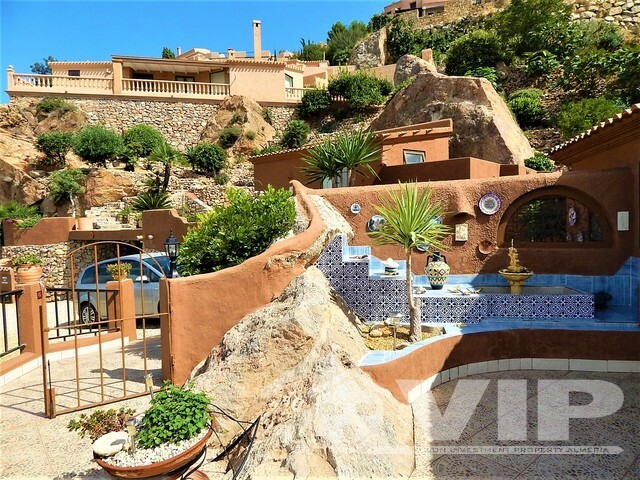 This property offers more than a generous 120m2 of living space with a guest Annex. 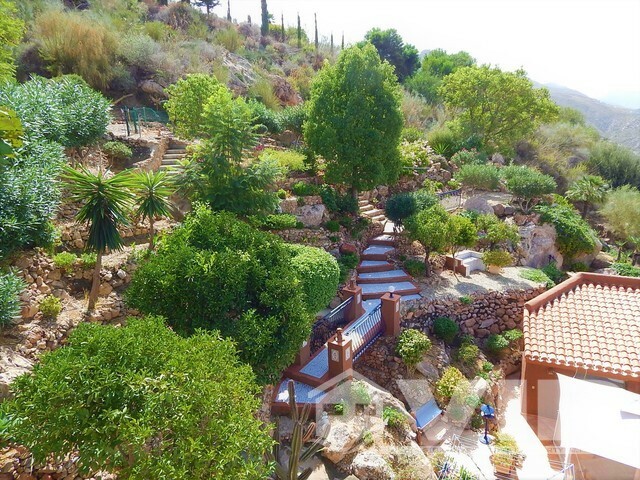 The garden is simply amazing with over 1250m2 of terraces, a man-made rambla feature with a bridge, low maintenance gardens with a variety of stunning indigenous plants, established trees and many feature rockeries. The vendors have strategically incorporated various seating areas to take full advantage of the fantastic views sweeping East to West. 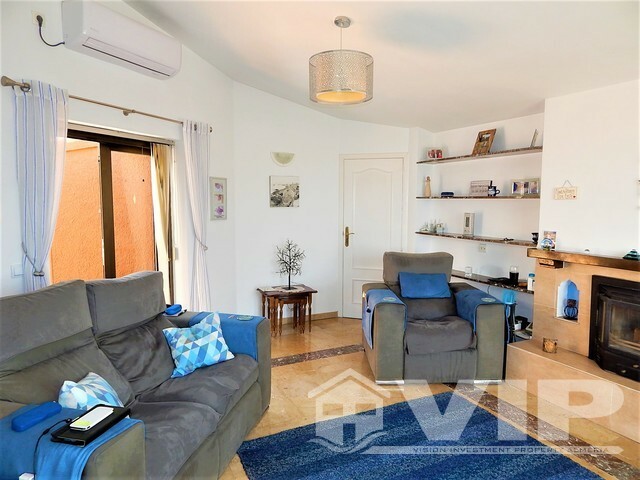 This villa is one of the original villas built in Carbera dating back to 1989 however still feels like a more modern property. It is key ready to move into. 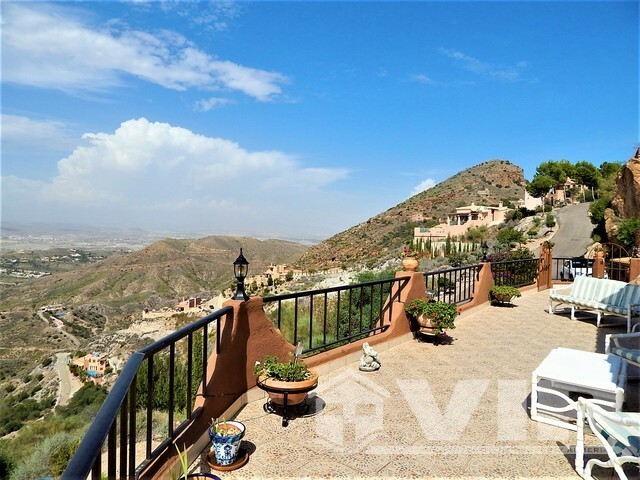 We are delighted to offer something different to the box standard villa in this prestigious Moorish village at a very reasonable price. 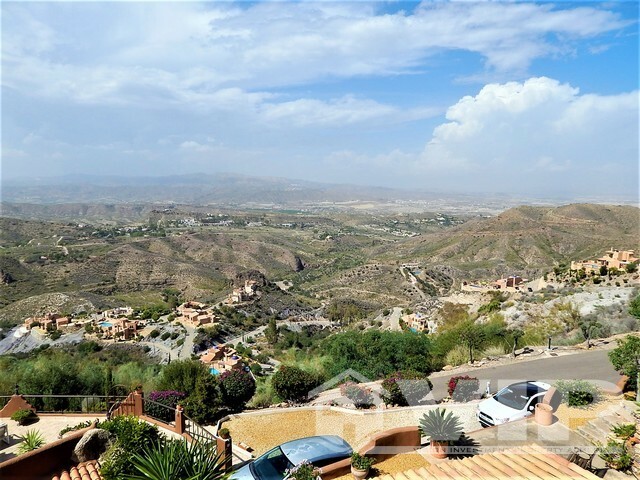 This property is within walking distance to the local amenities in Sierra Cabrera, with restaurants, bars and multiple different clubs an offer, as well as a 10 minute drive down the mountain to the further amenities on offer in Turre, and a 20 minute drive to the beach. 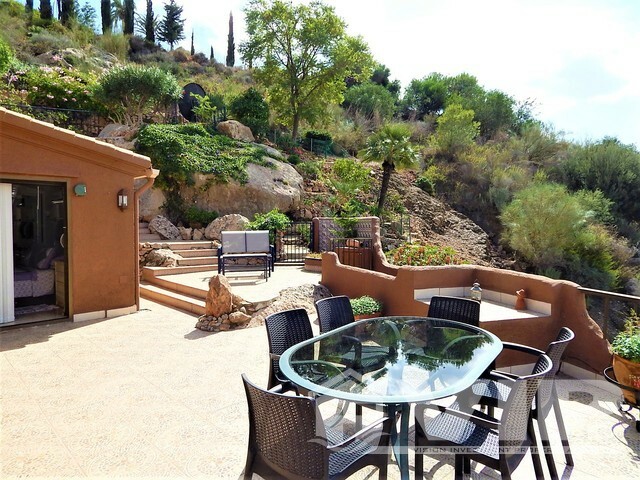 The private graveled driveway provides off road parking for up to several cars combined with a cleverly designed car port cut into the mountain. 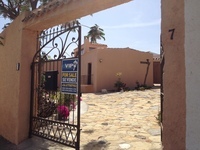 There is so much to see and flow of this house is really refreshing connecting the house with the gardens and a delightful central south facing courtyard with outdoor kitchen / BBQ. From any of the terraces around this villa, they are simply perfect to entertain, unwind and relax. 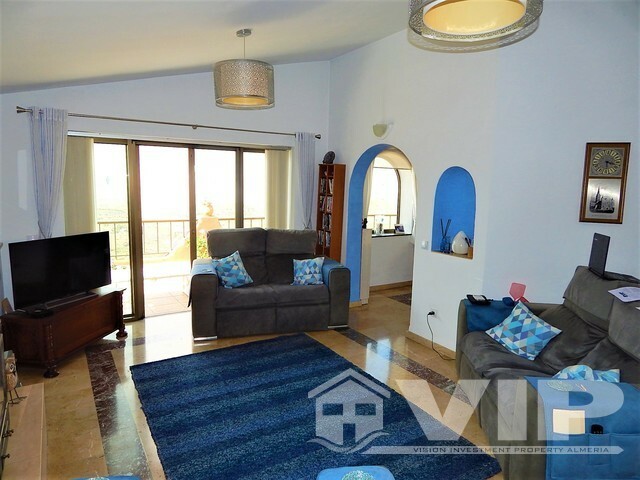 The property is split between the main two bedroom villa and a separate one bed-roomed guest annex (en-suite) on a raised level with a private East terrace that benefits from those elevated scenic views. 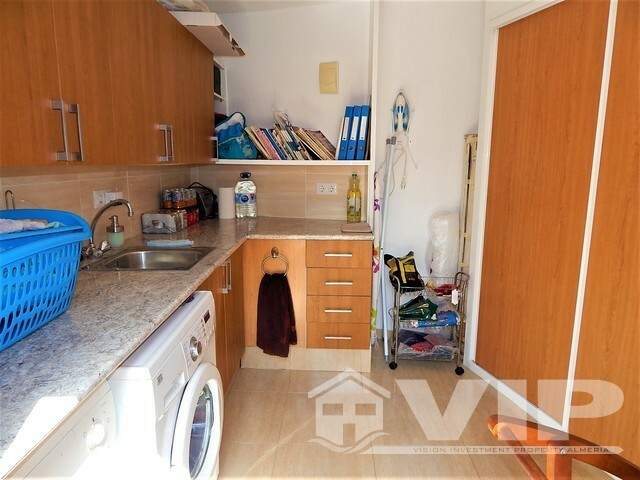 The under-build of the property is currently used as a workshop with storage and can be used as a games room, cinema room ect. 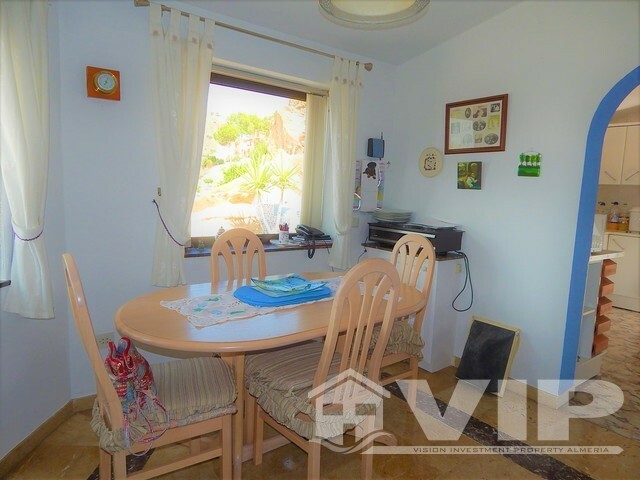 It is connected to mains power and includes windows providing natural light. This workshop/store room can be accessed via steps from the front or side terrace. 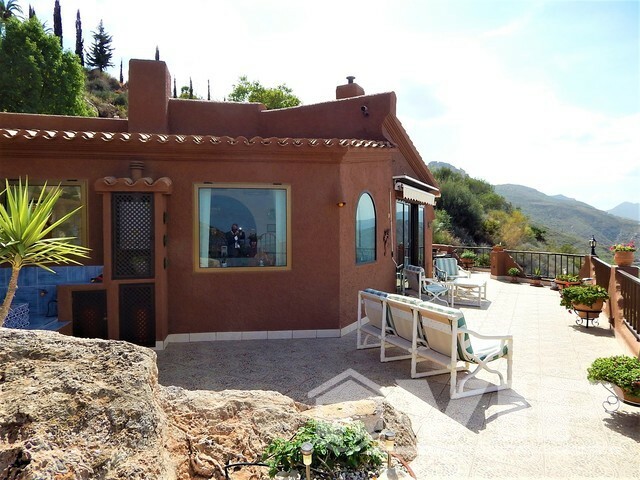 The main single level villa consists of a lounge with feature log fireplace with doors out to the front terrace that wraps around the building offering some of the finest views in Cabrera over Cortijo Grande. 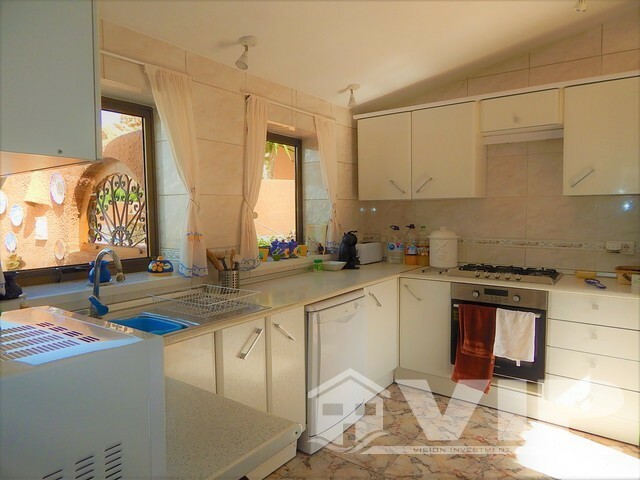 There is a separate dining room leading to a fully fitted kitchen with large panoramic windows again offering the views of the mountains and valley. 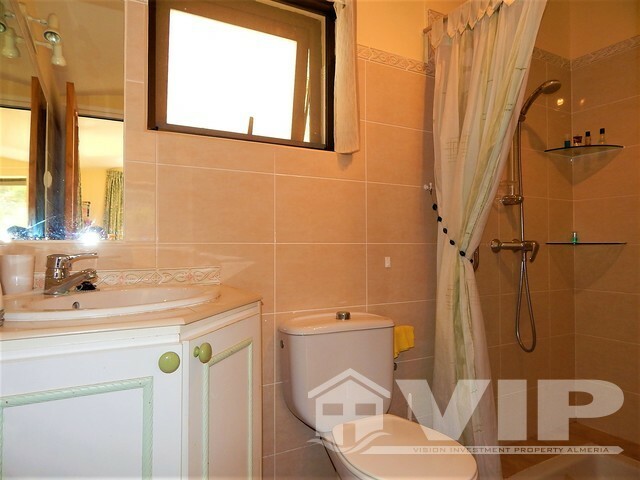 There is a small corridor which leads to the master bedroom with built in wardrobes and large en-suite bathroom. 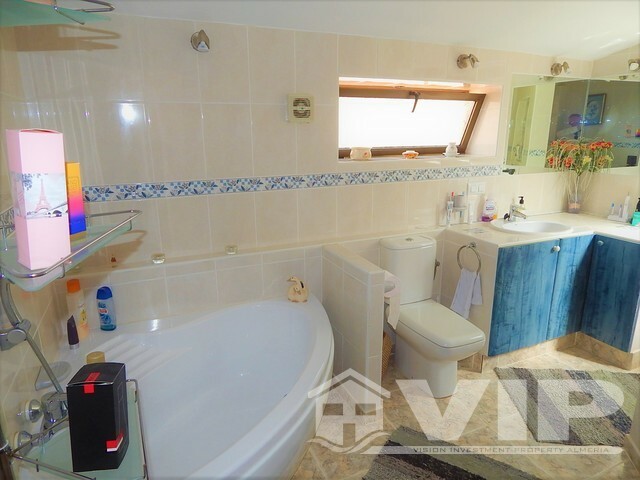 This bathroom is fitted with a separate shower cubicle, full bath and airing cupboard. 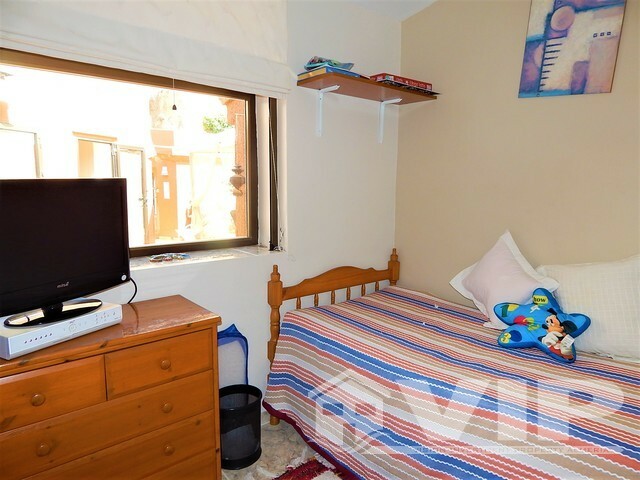 Next to this room is the second bedroom with views to the rear courtyard and a separate W/C. 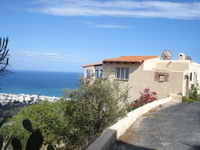 From the courtyard there is a terrace towards the front of the villa with an area for log storage, there is also a converted utility room for laundry. 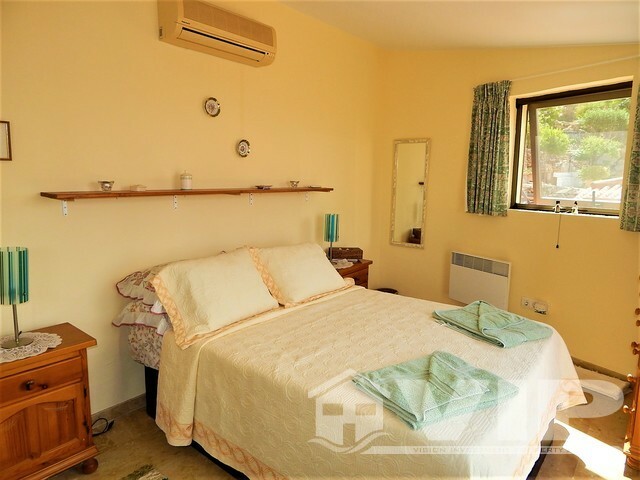 The property benefits from air conditioning, double glazing, fully irrigated gardens. There is space for a private swimming pool if required, a pool which would be easily fitted in front of the guest Annex. 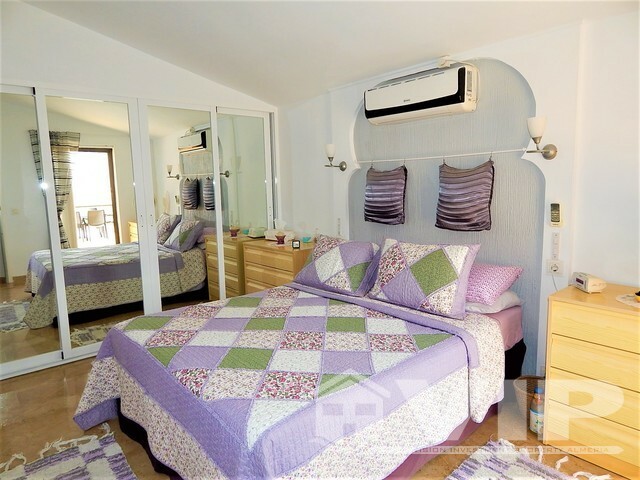 The property has a community pool share including childrens pool and Mini-Golf. 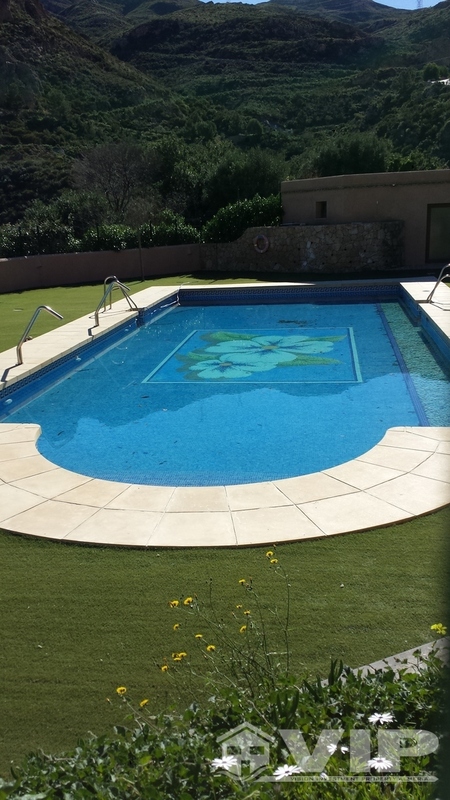 The community pool is shared between only 20 properties and is only 50 Euros a month. The architecture and setting of the village is very unique to the area so please note that a car is required as it is not on a bus route. This is a magnificent property that has to be seen to truly appreciated.